Home sellers have plenty of concerns, including pricing, inspections, renovations and staging. The last thing sellers should need to worry about is the appraisal. 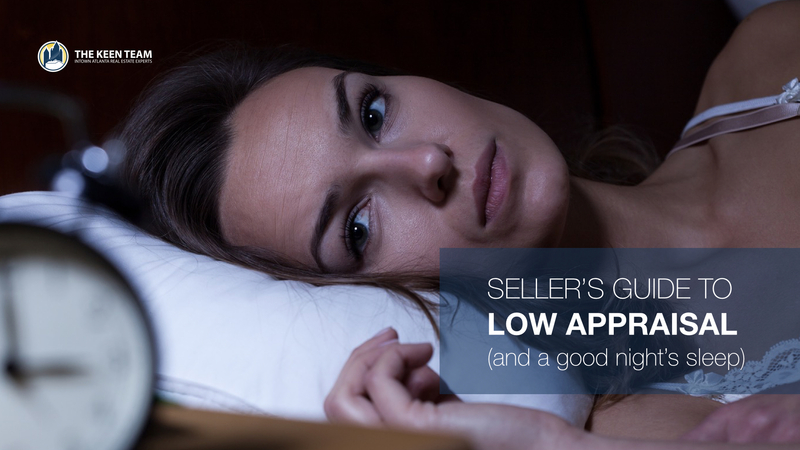 Unfortunately, many sellers are robbed of sleep by the threat of receiving a property appraisal that undermines your contract price. And sellers are right to worry about this, because appraising a house is as much art as science (actually mathematics). But if you’ve set a realistic price – a good real estate agent can help you there -- you should be able to receive an appraisal that helps seal the deal. Can you influence the appraisal? What should you do if your home doesn't appraise? What if your appraisal is higher than your selling price? An appraisal is an expert estimate of the value of an object. This object could be a piece of jewelry, a painting, a boat, a car, or – in this case – your home. A licensed real estate appraiser researches tax records, compares similar properties, looks at recent sales and trends, and uses his years of experience to provide an opinion on the value of a property. That appraisal is required whenever a property is bought, sold, mortgaged, taxed or insured. Professional appraisers must follow the Uniform Standards of Professional Appraisal Practice, essentially the appraisal industry’s quality control. All states (including Georgia, of course) require that a professional appraiser be state licensed and certified in order to provide appraisals to federally-regulated lenders; some states use the same standard for appraisals sought by other groups as well. To become licensed, a would-be appraiser must pass an exam administered by his state’s appraisal board. Appraisers who become members of the Appraisal Institute (AI), an association of appraisers, have fulfilled further education and work experience requirements and must adhere to a code of professional ethics, according to the institute. How does an appraiser arrive at his conclusions? The real estate market is a moving target. Home prices rise and fall in tandem with real or imagined economic conditions, including new building starts, housing supply, job creation, cost of living, inflation, commodity and materials pricing, labor costs, and much more. In most markets, prices rise or fall slowly, making it easy for an appraiser to find comparable sales – called “comps” – that inform his opinion about your home’s value. But in boom or bust markets, comparable sale prices can move so quickly that comps “age” before the ink dries on the contract. In fact, comps are never exactly comparable. Although appraisers look for sales of properties that match yours, it’s hard to find identical homes and neighborhoods. Maybe you’re selling a 20-year-old, four-bedroom colonial on a half acre. But the closest comp in your neighborhood is a 15-year-old, four-bedroom ranch on a full acre. What does this mean? If a comp (your neighbor's house) is "inferior" to the subject property (your house), the appraiser is likely to add supplemental value to the comparable property. If a comp is "better," the appraiser will subtract value. For example: A subject property (your house) is being compared to a neighbor's house that has an additional bedroom. This additional bedroom renders your neighbor's home "better" (or "superior") in value. The appraiser knows that a 4th bedroom (as compared to a 3-bedroom) in your specific neighborhood adds $20,000 in value. Since the comp is better, the appraiser will subtract $20,000 from the recent sale price of your neighbor's house, in order to adjust for the extra bedroom when comparing it to your home. If your neighbor's home sold for $440,000, in other words, the appraiser will adjust it to $420,000 to reflect this difference. Your home is a 3-bed, 2-bath with 2,100 square feet, built in 2010 and featuring a fireplace, open floorplan and modern kitchen. Your neighbor's home is a 4-bed, 2.5-bath (superior) with 2,600 square feet (superior), but built in 1999 (inferior), with no fireplaces and a kitchen that hasn't been updated in 15 years (inferior). This home sold two months ago. Your other neighbor's home is also a 4-bed, 2.5-bath with 2,600 square feet, but it was built in 2015 and sold last week. The appraiser's job is to sort through these variables, make adjustments as needed, and arrive at an expert conclusion. Years of experience guide how an appraiser compares similar properties that are not the same. In his report to whomever hired him – usually the buyer, who needs to convince a mortgage lender of the property’s value – the appraiser usually includes pictures and descriptions of the homes he used as comps. But in the end, an appraisal is merely a data-based opinion. Two professional appraisers can easily come up with different valuations – sometimes drastically different. There’s not a lot that home sellers can do to influence an appraisal (other than renovating your home). But there are actions you can take to prevent an appraisal surprise. Hire your own appraiser before listing your home. That way, you’ll know which houses likely will be used as comps and how much your home is worth – at least, in one appraiser’s estimation. Note that there are two drawbacks to this: you'll pay several hundred dollars, and the appraiser who conducts the "official" appraisal may arrive at a different valuation. In the best-case scenario, though, this appraisal may help you arrive at an idea of the home's value, potentially saving you from the risk of underpricing. Look for an appraiser who holds “area knowledge,” which means he lives relatively nearby and understands your local market. Use the pre-appraisal to set your asking price. If you exceed the price, and a buyer is willing to pay it, the deal may die when a lender refuses to give the buyer a mortgage. If the buyer is paying cash, you might get lucky and close a deal for greater than the appraisal – but don’t count on it. Give a copy of your pre-listing appraisal to your buyer’s appraiser. It’s more data to guide/justify his eventual opinion. Your home’s exterior is the first thing an appraiser sees. So spruce up your yard by mowing the grass, removing dead plants and pruning trees. Paint the siding if it needs it, and seal cracked driveways. De-clutter the inside. The neater your house, the better of an impression it will make. While appraisers are trained experts – meaning they shouldn't be influenced by factors like cleanliness and clutter – they're still human, and subject to the same emotional or irrational influences that impact most people. Let's imagine that you and a buyer agree on a sales price. You're under contract for the sale of your home ... and your home doesn't appraise for the contract price. What should you do? Renegotiate your contract to meet the appraisal value. This might be the best route to follow if there's a minor difference between your contract price and the appraisal value. Request a second appraisal. Remember how we mentioned that different appraisers may have drastically different opinions? It may be worth investigating whether or not a different appraiser will arrive at the same conclusion. Most importantly, talk to your real estate agent about your options. Your agent has been through this process hundreds of times. There's a high likelihood he's experienced this exact situation before. Your agent will be able to offer good advice about how to proceed if your home doesn't appraise for the contract price.